Learn about UC San Diego's institutional radiation safety program. Clinical Radiation Safety – safety information specific to UC San Diego Health System employees. Research Radiation Safety – safety information specific to UC San Diego research employees. 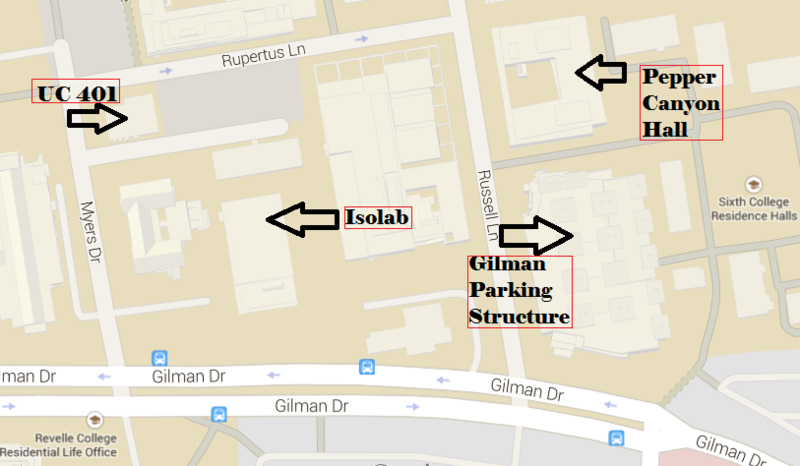 Please refer to the How to add the new EH&S Services Lab address in Marketplace directions for guidance. Failure to use the shipping address and not including your RUA will result in Marketplace delays and processing delays. Please refer to http://blink.ucsd.edu/buy-pay/goods/lab/radioactive/. For more information, contact EH&S Radiation Safety, (858) 822-2494. UC San Diego uses radioactive materials under a Broad Scope Radioactive Material License issued by the State of California. This manual represents the radiation safety program for all locations on that license, including the campus, Medical Center, and Scripps Institution of Oceanography. This manual is incorporated by reference into UCSD’s license. All principal investigators and radioactive material users are required to comply with all of its provisions, as well as the conditions of the Radioisotope Use Authorization (RUA).